The Australian competition authority, the Australian Competition and Consumer Commission (ACCC), has issued a final decision to authorise a national Tyre Stewardship Scheme for five years. The Australian Tyre Industry Council (ATIC) applied to the ACCC for authorisation of the proposed Scheme, to be administered by Tyre Stewardship Australia (TSA). 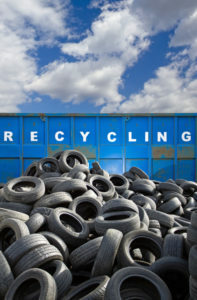 Participants in the Scheme will be required to commit to contribute to the environmentally sound use of end-of-life tyres, elimination of the inappropriate export of baled tyres from Australia, elimination of the illegal dumping of end-of-life tyres and elimination of the disposal of end-of-life tyres to landfill. The scheme involves imposition of a $0.25 levy per passenger car tyre equivalent on tyre importers to fund the operation of the Scheme.